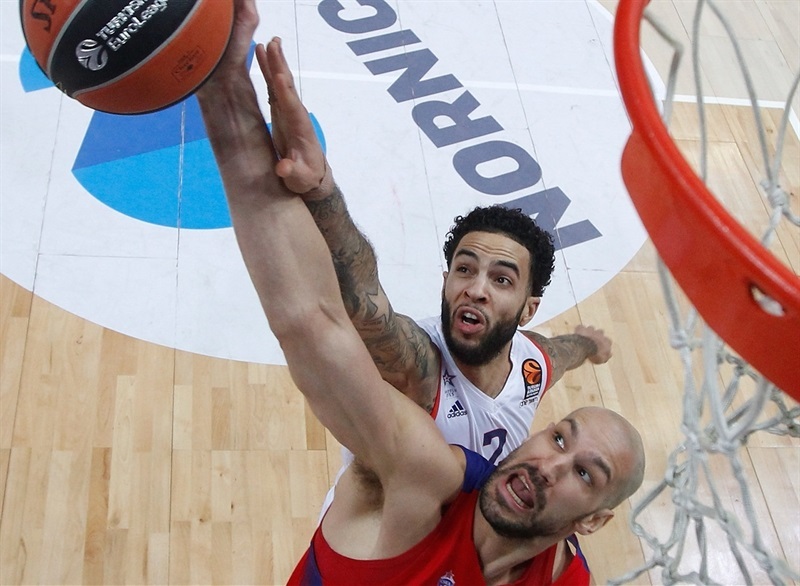 CSKA Moscow got back to its winning ways and became the first team to 15 wins this season after holding off Anadolu Efes Istanbul 80-77 on Friday in the Russian capital. 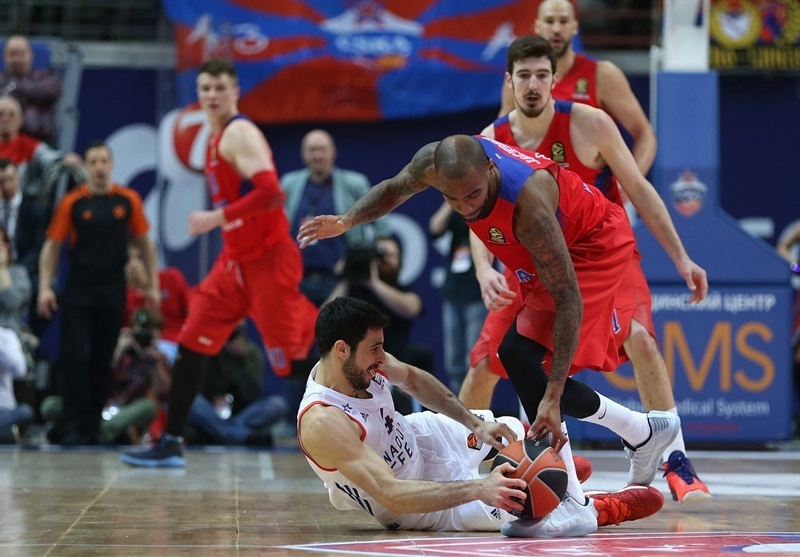 CSKA, which played without Milos Teodosic and Victor Khryapa, improved to 15-5 and will remain in at least a share of first place at the end of the round, while Efes dropped to 9-11 on the season. The hosts took the lead for good in the second quarter and extended the margin to double figures in the third behind Kyle Hines, Nando De Colo and Dmitry Kulagin. 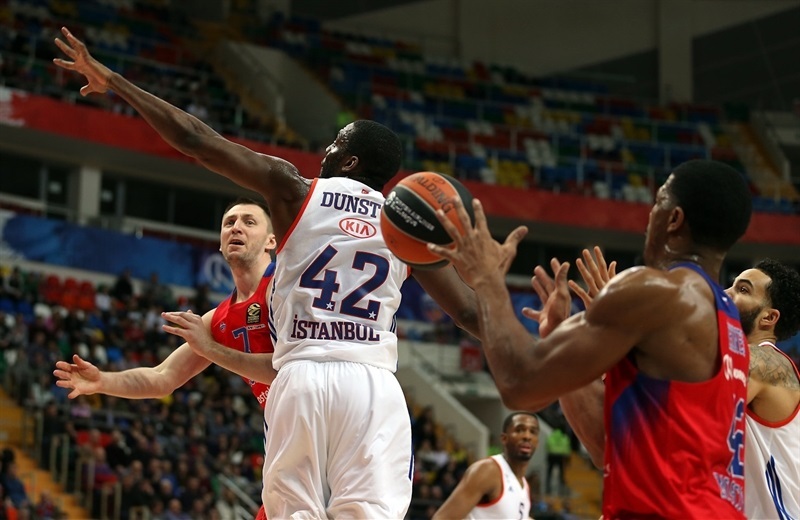 Efes rallied in the final two minutes behind Thomas Heurtel, but ran out of time in the end. 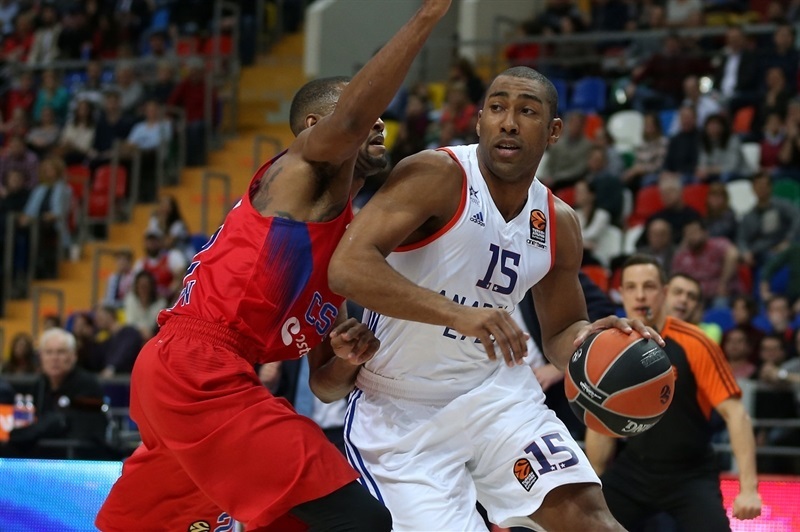 Hines paced CSKA with 13 points and 10 rebounds, 6 off which were on the offensive glass. 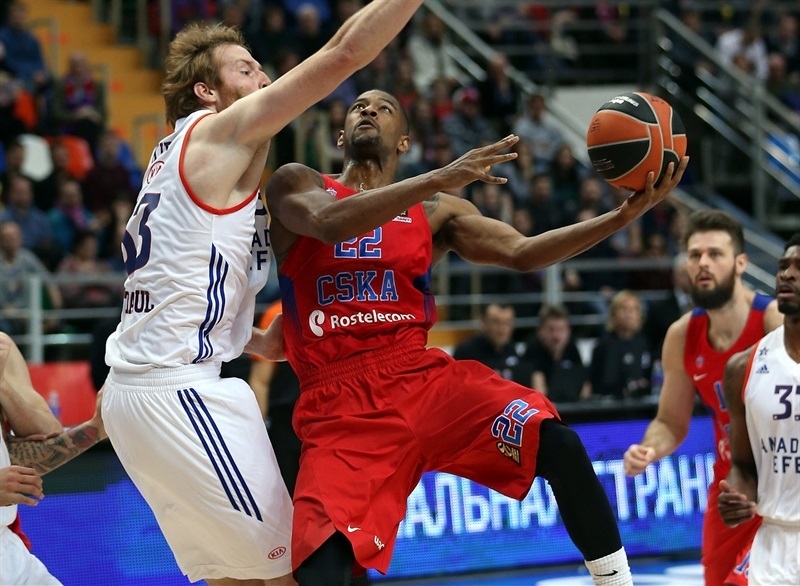 De Colo scored 14 points, Cory Higgins 11 and Aaron Jackson and Nikita Kurbanov added 10 apiece. 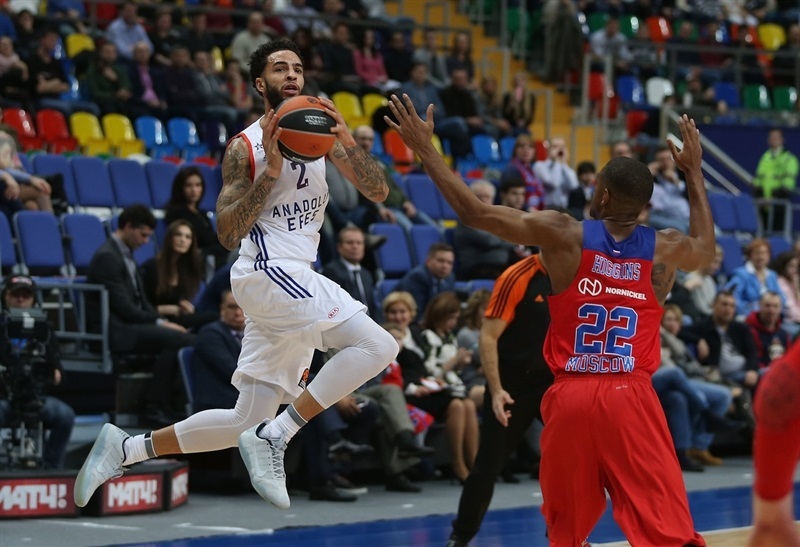 Heurtel finished with 24 points in defeat, Tyler Honeycutt had 16 points, and Derrick Brown 11 for Efes, which shot 3-for-15 from three-point land. 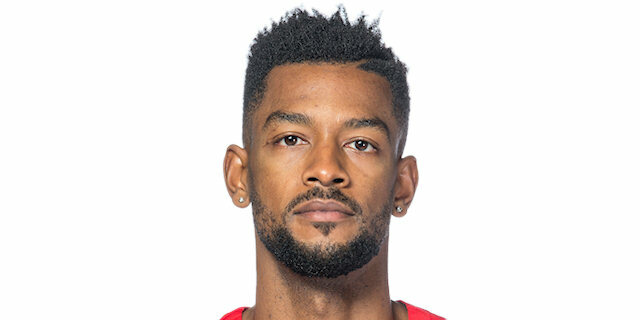 CSKA started on fire, hitting 4 three-pointers on 5 attempts, with Jackson and Higgins each hitting one, and Kurbanov nailing a pair – one from each corner – to make it 15-8. 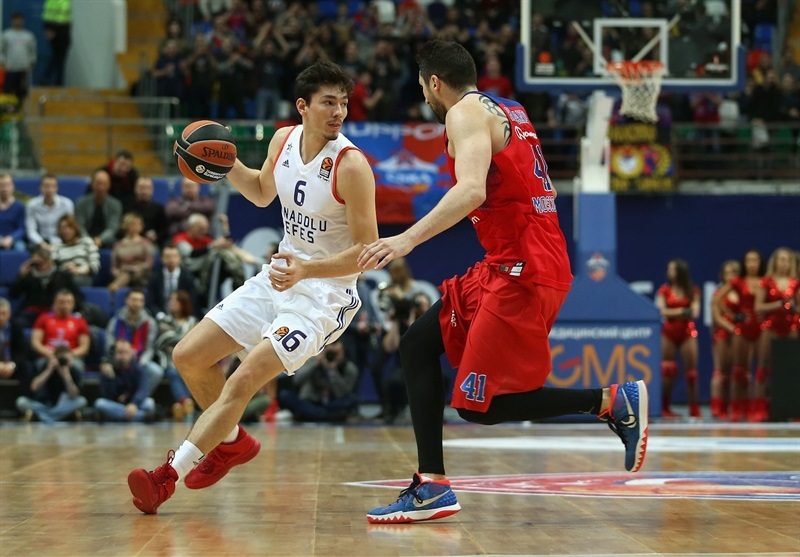 After a timeout, Efes responded with a 2-12 run during which Honeycutt scored 8 points and put the visitors in front 17-20. 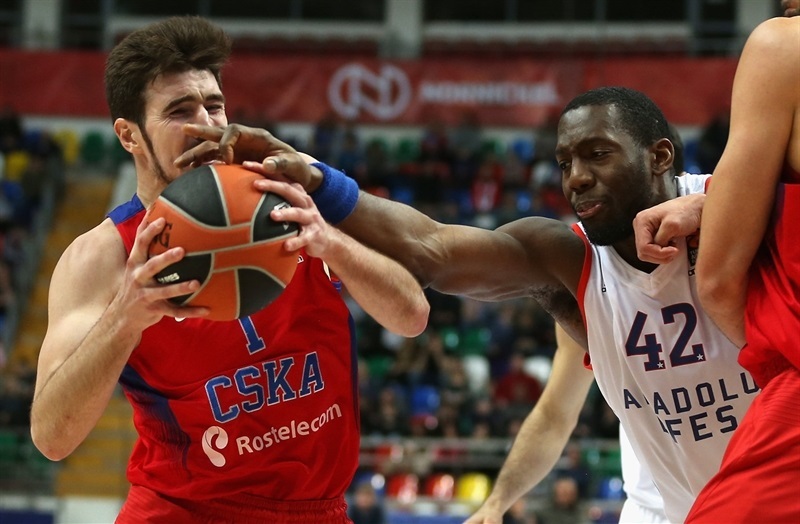 Andrey Vorontsevich and Vitaly Fridzon made sure CSKA got back in front and led 25-24 after 10 minutes. In the second quarter, the teams traded blows. Alex Kirk had a circus tip-in and assisted Honeycutt for a dunk and a 32-33 edge. 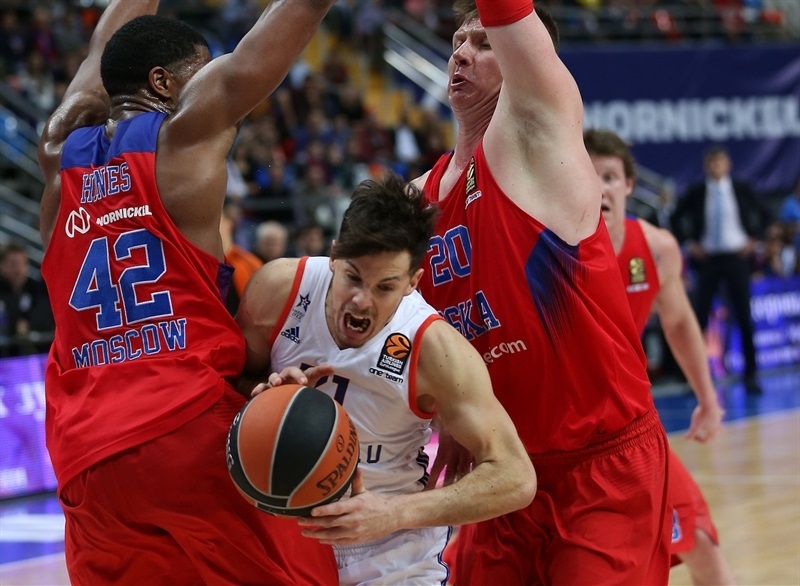 However, Higgins sparked another CSKA run that was capped by a De Colo layup that made it 42-35 at halftime. After the break, Hines sent a bounce pass for a Kurbanov dunk and scored 6 points himself for CSKA to help open a 54-41 margin. Heurtel scored 7 points the rest of the third quarter, but Kulagin and De Colo kept CSKA with a double-digit lead, 65-52, going into the fourth quarter. 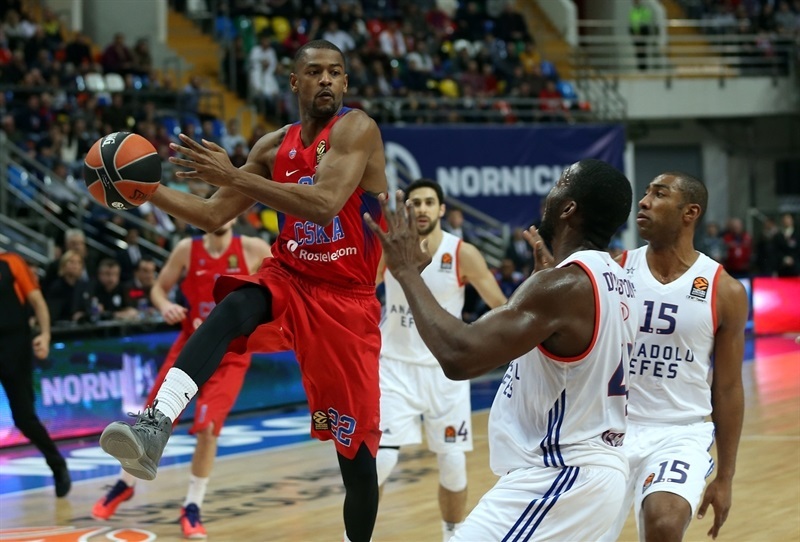 Efes cut the deficit to 8 points on a couple of occasions, but Jackson’s driving layups extended the margin back to 10 points with under two minutes to go. However, Heurtel hit a pair of triples to get the margin to 79-75, and he hit a floater to make it a 2-point game with 10 seconds to go. Jackson split free throws with 5.4 seconds left and Efes had one last possession, but all the visitors managed was a long, contested, off-balance three-point attempt by Brown that hit the backboard. "Nothing is easy in life, but we were a better team tonight. First of all, congratulations to my players. We played a good game, we bounced back. We had two very good practices after coming back from Kuanas. We watched film almost three hours, we analyzed things. We know where we are, what we represent as a team, as individuals and as a franchise… I want to say we were dominant in most of the game, we controlled the game, played good defense. 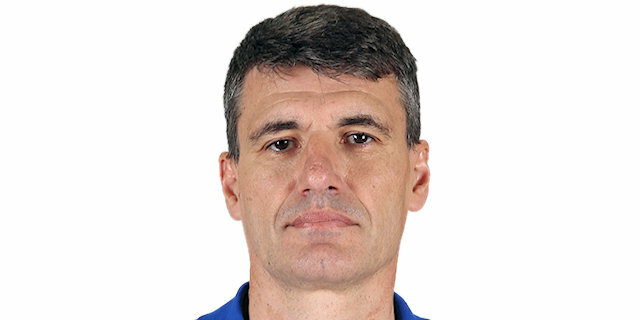 Efes is a very good team, a lot of respect to them, a very good offensive team that we managed to keep to a very low 52 points in first three quarters. We were 13 points up, and we showed we are on track of playing good defenses, with a selection, forcing turnovers and bad shots. For instance, Brandon Paul came in this game scoring 10 three-pointers in the last two games I think. He is a great shooter. Tonight he had the opportunity to shoot only 1 three-pointer. We kept them to 20% for three-pointers, a pure three-point shooting team, so we played good at the perimeter. We controlled the game, especially for three quarters, and then in the fourth quarter we played to the clutch moments because of Efes pressing, because of some other issues. But the outcome is good, a win is a win. That game meant a lot to Efes, but we managed to get back on the winning track, so congratulations to the players. " "Congratulations to CSKA. They deserved the victory, because they controlled the game from the start, especially in the third quarter. But we never gave up, always tried to get back to the game, and we hustled until the end." "It is a good win. I think that we have to see every win as a good thing and not just think it is another game and that's it. We saw how it can be difficult when we don't play our basketball. We now need to find back our rhythm. We did during for two, three games and saw we can sometimes forget how to play our basketball. It was a good win even if at the end, it was a little bit difficult because we turned the ball over and made some mistakes on defense. We have to think about the next game and just keep our rhythm." "We had a little bit of a rough stretch but we have been working hard every day in practice, trying to correct the little things. That is the most important part, we just need to get better every day and today it was a good step for us to get back on the winning path. They turned up the intensity [in the fourth quarter] and started trapping everything. We made a couple of silly turnovers. It is one of the things we have to work on, try to fix that in practice and try not to make the same mistakes." 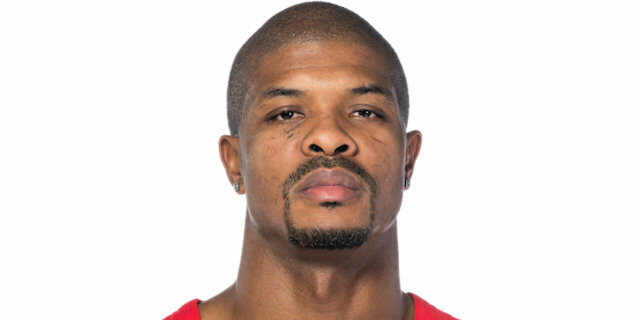 "It was very big for us to come back after that devastating loss from Zalgiris. But that is what we were able to continue to do through this whole entire season, keep bouncing back after losses. We did that tonight. We defended our home court, we held them to 77 points, so it was a good team effort, a good team defense, a good team defense. 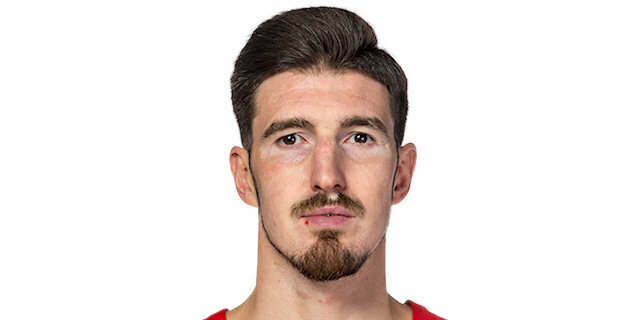 [Reaching 350 offensive rebounds in EuroLeague] is a great accomplishment, and it just shows how old I am getting. But I am just happy we got a win, that is all I care about. As long as we keep on winning and as long as we continue to keep our goals, that is all that matters to me."